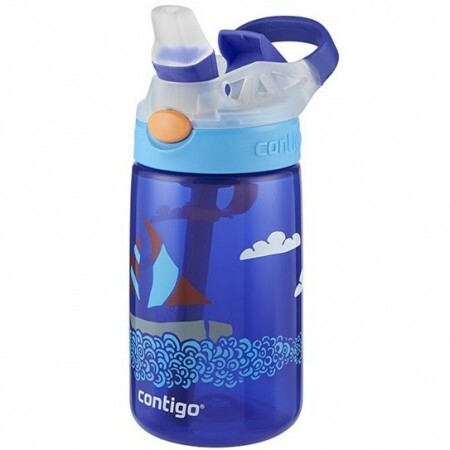 This Contigo kids water bottle is leak and spill proof (even when it's open!) and features a fun pop-up straw for easy sipping. Blue bottle with sailboat design. 415ml. Easy one-handed operation, simply push the button to release the autospout and click it back again to close. Fitted spout shield keeps the silicone mouthpiece protected from dirt and germs when not in use. BPA, phthalate and PVC free, will not leach harmful chemicals. Silicone grip on the lid is soft and ergononomical. Top loop for clipping onto a bag, belt or pram, or for easy carrying. This 'Gizmo' bottle has a blue sailboat design. Handwashing is recommended to maintain the quality of the bottle. 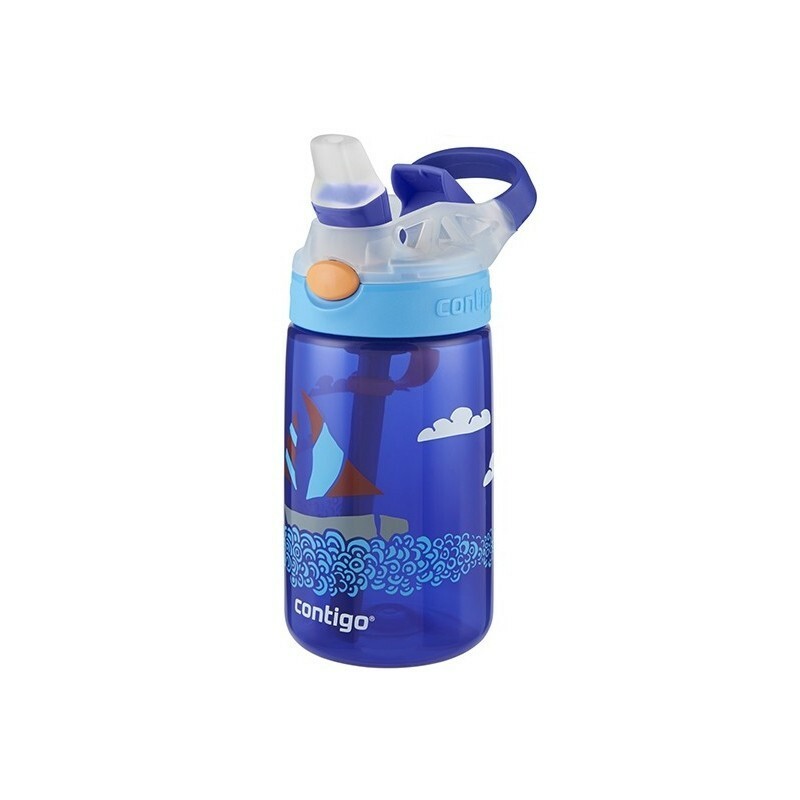 19cm x 7cm / 415ml capacity / Made from FDA-approved BPA, phthalate and PVC free materials. It’s perfect for toddler. It also has fun design and colour. The only downside for me is the spout is not that easy to clean.